A leash is one of the most important parts of your gear. I realize that today there is an abundance of different types, materials, and lengths to choose from. 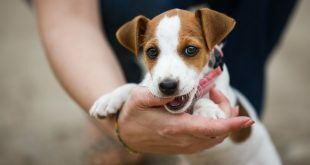 Therefore, I decided to make your life easier and write about all the things that you have to look out for when getting a perfect leash for your dog. You should also check out our article on how to choose the best collar. Modern leashes come in all shapes, sizes and a variety of materials. The four most common are nylon, leather, metal, and cloth. All have their upsides and downsides depending on your pet’s breed and personality. Remember that when the leash is slack in your hand the dog can feel its weight, moreover, it carries it on its neck. If you chose a leash that is too heavy and uncomfortable for them they won’t like it, refuse to wear it and resist you during your walk. Nylon leashes, like the excellent PetSafe Leash, are most commonly used. They are cheap yet strong, durable and lightweight which makes them perfect for almost all dogs. Nevertheless, they’re best suited for smaller and more active breeds. Nylon is soft so your pet can chew the leash all it wants without any risk of damaging its teeth but that will deteriorate the leash and you could have the problem of a leash suddenly snapping under high stress (like your dog lunging). They aren’t as rigid as for instance leashes made from metal which reduces the risk of bodily harm for your beloved significantly – especially if they are of a shock absorbing low-impact variety such as the great OutdoorMaster Bungee Dog Leash. One negative aspect of nylon leashes is that they could potentially give you rope burns on your hands if you try to firmly hold on to the slack if your pet suddenly decides that they have to be somewhere else at that very instant. 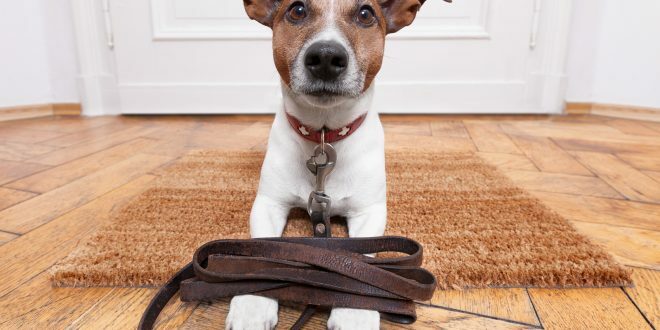 Leather leashes are somewhat more expensive than nylon leashes but are of a much higher quality, extremely durable (if you take care of them properly) and comfortable both for you and your pet. Even more so the more you use them because the malleable leather will fit better and better into your hand with every use, unlike nylon that will deteriorate with time. It’s a soft material and therefore isn’t dangerous for your pet to chew but that will make the leash weaker in time. Leather Training Leash is an excellent example of the kind of product you should consider getting – made from high-quality real leather it’s made for daily heavy-duty use in all conditions and even comes with a lifetime guarantee. Nylon and leather leashes also come in a slip leash variety. Slip leash is similar to a martingale lead in that they rest more loosely around your dog’s neck (without an additional collar) but slightly tighten when your pet starts pulling it. They are most commonly used for leash training because they allow for a gentle correction of the unwanted behavior. If you’d like to try them out I recommend the soft and flexible yet strong Nylon Remington Rope Slip Dog Leash from Coastal Pet Products. Chain leashes aren’t cheap, and are extremely durable but are perhaps the most dangerous for your pet. Being made from metal means that they are rigid in a sense that they won’t give any slack if your pet suddenly bursts forth (wanting to play tag with his friends for example) which can seriously injure their neck and trachea. You can injure your fingers if they become entangled in the links or, as metal tends to be slippery, you could lose your grip in the crucial moment. Not to mention that your dog could seriously damage his teeth trying to chew it or just carry it in his mouth (I’m taking myself for a walk style). Cotton leashes are often hard to find but are quite durable and lightweight and as such excellent for training purposes and especially useful for use in water. As they have a decent amount of giving they are great for larger, stronger dogs. Although, they can give you rope burn if not handled properly. 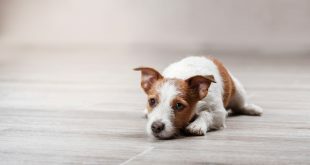 If you notice signs of wear and tear on any kind of leash that means that it started losing its good properties and you should replace it as soon as possible. A leash is just as strong as your clip is. You could have the strongest, most durable leash in the world and it wouldn’t matter one bit if you chose to use a weak clip – the clip would snap and you would be left holding an expensive piece of rope. Tethering the leash with a strong clip should be one of your priorities. You have a variety of choice in the matter but make sure that the clip is made of metal and not plastic. Most metal clips that you would use are spring-loaded one way or another. Bolt-snap, carabiner, and trigger snap clips are very reliable but you should check their mechanisms from time to time nonetheless – if you feel that something is wrong with the mechanism to replace them as soon as possible. The length of the leash that you use will depend on which situation and location do you find yourself in. If you are walking your dog on a sidewalk the leash should be 6 feet at the most (if you are walking in a busy city 4 feet would be even better). The shorter the leash the safer your pet is – the shorter leash gives you more control over their movement and faster reaction time in critical situations. The downside is that your dog might feel too constrained on a shorter leash – remember they move differently from us. The standard leash is aforementioned 6 feet long which gives your pet enough room to move freely and you enough control over the situation. Training leashes are usually 8 to 10 ft long so as to give you and your pet more room to operate and exercise your skills. There are even long line leashes like the high-quality Guardian Gear Cotton Web Training Lead that are designed specifically for training long distance commands. Such leashes can be up to 150 ft long so it’s best to wear gloves when using them otherwise you’ll get rope burns from all the friction. I advise that you stay away from retractable leashes. They can be up to 30 ft long and do you a great disservice with the very thing that they were designed to do – extend and retract according to your pet’s movements. Such freedom often goes to their head, especially if they haven’t yet mastered their leash training or are highly reactive. Retractable leashes reward their negative behavior, i.e. pulling, by giving them free reign to do what they want. Not to mention that risk of injury is much greater than with many other types of leashes both for you and for your dog. The long line suddenly comes to a halt when they had ample time to build their momentum which can seriously damage their neck and trachea and the often thin cord can often result in severe skin burns when in contact with bare skin (oh the memories). The cord will also tangle easily around your or dog’s limbs causing an inconvenience at the least and injury at the worst. The good thing is that if your beloved has already mastered obedience and leash training you can let them have a lot of freedom (in the park or the countryside) to explore their surroundings without you having to muddy your favorite pair of shoes. If you do decide for one of these I would recommend you the ergonomically designed Flexi Vario Tape Leash. There is also a number of adjustable leashes on the market – they are sort of a middle ground between standard leashes and retractable leashes. The catch is that you can adjust the length of the leash by means of extra clips, loops, etc. (similar to how you adjust your backpack or a purse). Just as with the thickness of the collar the thickness of the leash will depend on the type and size of your trusty companion. They must be just right for your pup – not too thick so they aren’t cumbersome for your dog and not too thin so as not to snap under pressure. There are some leashes that are designed for a specific purpose. Multiple dog leashes, for example, are designed in a way that you can comfortably simultaneously walk more than one dog holding one leash in a single hand. If you don’t use a crate while transporting your pet in the car you must consider getting a seat belt safety leash. They are designed to clip into the standard seat belt clips in the car thus securing the safety of your dog during the drive and in the case of an accident. Hands free leashes like the awesome Ruffwear – Roamer Hand-Held or Waist-Worn Extending Dog Leash, Hurtta Free Hand/Jogging Dog Leash or the Ruffwear – Flat Out Hand-Held or Waist-Worn Dog Leash is made to make your morning run much more comfortable by tethering them, for instance, to your belt and thus, as the very name implies, freeing your hands. They usually have an elastic rope (sort of like e bungee cord) that greatly improves your and your furry buddy’s experience because you both have more freedom of movement and don’t end up tugging each other all the way. Remember, do a thorough research before you decide on a collar for your darling companion. The one you choose must be comfortable for him/her and you and at the same time functional for the task at hand – be it a casual stroll in the park, hurried to walk through a busy street or a lovely day at the beach. The leash is one of the most important parts of your gear. 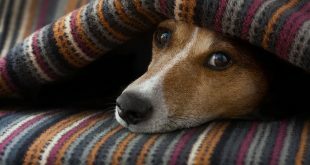 It protects you, your dog and everybody around you so it pays to invest in a high-quality product that will last you a long time and won’t let you down at the critical moment. We’d like to hear your thoughts and recommendations on the subject in the comments below. I’m having a puppy in just 2 weeks… 8 weeks old… what is the best solution? I have no ideia about the sizing as well…. Hiw much would be for an adult Jack Russell harness. Also do you do a combined coat/harness due to my dog being nearly bald on her tummy with her being a house pet. Please could you send me images and prices.